Interlock Outdoor sport floor Item No. 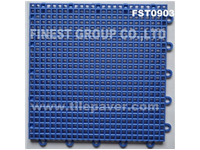 : FST0901 Size:300mm*300mm Thickness: 13mm Material: modified polypropylene Color: Green, blue, red, grey, orange, black, various color can be customized. 1. Interlocking Design, easy assembles and maintain 2. Non-slip, easy to clean 3. No Odor, enviro..
Interlock Outdoor sport floor Item No. 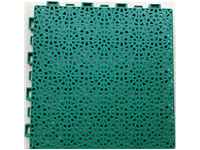 : FST0902 Size:250mm*250mm Thickness: 13mm Material: modified polypropylene Color: Green, blue, red, grey, orange, black, various color can be customized. 1. Interlocking Design, easy assembles and maintain 2. Non-slip, easy to clean 3. No Odor, enviro..
Interlock Outdoor sport floor Item No. 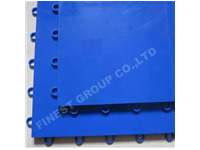 : FST0903 Size:250mm*250mm Thickness: 13mm Material: modified polypropylene Color: Green, blue, red, grey, orange, black, various color can be customized. 1. Interlocking Design, easy assembles and maintain 2. Non-slip, easy to clean 3. 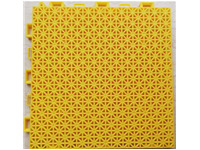 No Odor, enviro..
PP Indoor Sport flooring Model: FST0907 Size: 250*250*13mm 305*305*16mm Material: PP (polypropylene) Color: Black,Grey,Blue,Red,Yellow,White,customized 1. Interlocking Design, easy assembles and maintain 2. Non-slip, easy to clean 3. No Odor, environmental 3. Good quality PP 4. Durabilit..